This Bohemian wrap bracelet is made with richly colored 6mm round Czech glass in a blend of soft green and copper caramel brown. Made with rust colored leather cord. 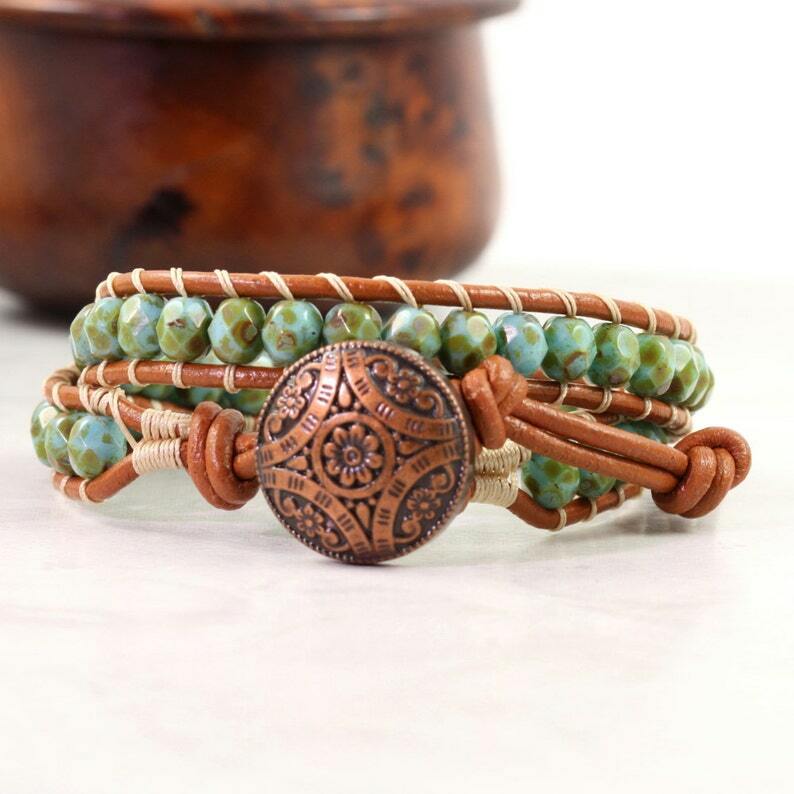 The earthy colors in this bracelet will go with anything in your wardrobe! Stitched with cream nylon thread. A floral pattern copper colored button completes this fantastic bohemian look. This bracelet has two loop closures which measure 13 and 14 inches. Please contact me if you'd like a different length made just for you. Several gift wrap styles are available. I will hand write your personal message on a coordinating gift card. Beautiful. Looks exactly as shown. My wife truly loves it!